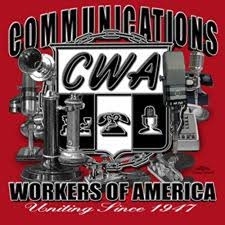 The CWA Joe Beirne Foundation was established in October 1974 by the Communications Workers of America Executive Board to honor the name and memory of the founding President of CWA, who served for more than 30 years. In his capacity as the first CWA President, Joe Beirne took great pride in the roles he played in the fields of education and learning and other areas of social concern. On April 26, 1999, the CWA Executive Board voted to combine the Joseph Anthony Beirne Memorial Foundation and the Ray Hackney Scholarship Fund, thereby creating the CWA Joe Beirne Foundation. Sixteen partial college scholarships of $4,000 each are being offered for the 2019-2020 school year. Winners, selected in a lottery drawing, also will receive second-year scholarships of the same amount contingent upon satisfactory academic accomplishment. Part-time students, less than 12 credits, will receive half of the scholarship monies. Final deadline for the 2019-2020 school year is April 30, 2019 at 11:59pm EDT. If Corporations Get a Tax Cut, We Want a Raise!! CWA members know that you can't rely on a boss's promises. If you want to make sure something sticks, you need to negotiate and get it in writing. That's why CWA President Chris Shelton sent letters to the CEOs of some of CWA's largest employers this week asking them to guarantee that if the corporate tax cuts proposed in the "Tax Cuts and Jobs Act" go into effect, CWA members will receive the $4,000 wage increase that President Trump and his economic advisers have promised and ensure that their companies won't take advantage of loopholes in the bill to send more jobs overseas. Many economists are skeptical that corporate tax cuts will result in wage increases, increased investment or an end to offshoring. Instead, they predict that corporations will use the money to buy back stock or issue dividends. In fact, last week during a panel discussion with Gary Cohn, the head of the President's Council of Economic Advisors, a room full of CEOs refused to raise their hands when asked if they would use their tax cut to increase investment. President Shelton's letters went to the CEOs of Verizon, AT&T, CenturyLink, Frontier Communications, American Airlines, General Electric, NBC Universal and ABC Entertainment. He has given them until December 1 to respond. Click here for links to the letters. AT&T wireless employees across the country are gravely concerned that the company’s increased reliance on outsourced retail operations is lowering standards for both customers and workers. A survey of over 1,300 AT&T corporate employees found serious problems with third party dealers. Third-party cell phone dealers, known as “authorized retailers,” look the same as corporate-run stores, but behind the logo there are substantial differences in training, compensation and incentive pay, all of which may lead to worse outcomes for customers and employees at the dealer-run stores. Customers regularly complain that dealers fail to disclose the terms of a sale and sign up customers for plans without their knowledge. Today's vote told us everything we need to know about the Republican members of the House of Representatives who supported this bill. They voted to strip basic health care protections from working families and allow insurance companies to sell health care plans that don't cover essential care or necessary treatment like chemotherapy. They voted to allow the states to do away with coverage for pre-existing medical conditions. That means premium costs for millions of Americans with pre-existing conditions would explode, and millions more will find it impossible to obtain health care at any price. This isn’t a health care bill – it’s a half a billion dollar tax cut for corporations, insurance executives, and the wealthiest Americans. At least 24 million people will lose their health care and Americans age 50 and older will see their costs skyrocket under the "age tax" the bill institutes, all to provide a big tax break for corporations and the wealthy. Union members fortunate enough to keep their coverage will be punished with higher costs under the "Cadillac tax" that Republicans left in place. Thousands of members of my union and other health care workers will lose their jobs. This legislation is built on lies, and the American people know it. Come Election Day in 2018, many Republican House members will realize how badly they miscalculated today. The House leadership and the Republican members who supported this bill ignored their constituents, and they will pay the price. We expect that members of the U.S. Senate won't make the same mistake. Republican leaders are considering a vote in the House soon to repeal the Affordable Care Act (ACA) and pass a bill that's bad news for working families. In order to win the votes of the extreme right they are now planning to allow insurance companies to charge whatever they want to people with pre-existing conditions and to sell junk health insurance. Costs for people with pre-existing conditions would skyrocket, working people over age 50 would pay a big "age tax," and many couldn't buy any insurance at all. Insurance companies would be able to sell health care plans that don’t cover essential care or allow for necessary treatment like chemotherapy. As the New York Times health insurance analyst wrote: “…the proposed changes would effectively cast the Affordable Care Act’s pre-existing conditions provision aside.” A vote could happen in the House of Represensatives as soon as Wednesday. You can tell them: “Hello, my name is (...) and I’m a constituent. I’m calling to ask the Congressperson to oppose the repeal of the Affordable Care Act. We should be making sure more people can afford health care, not gutting coverage for people with pre-existing conditions. Click Here for the Healthcare Fact Sheet and a Call to Action to call your Representative!!! We are in the process of updating our data base. Please take a moment to click on the link below and provide us with your information (name, address, cell & home phone #'s and e-mail address). This is the best way of passing on important information to all of our members in a timely fashion. Thank you. In 1989 60,000 CWA and IBEW members took on the company in a historic strike. It took a lot of hardship and sacrifice. But after 17 weeks, union members won and we protected our jobs and benefits. December 4th is the 25 year anniversary of the end of the 1989 strike. Our jobs, and customers’ access to quality services are on the line. It’s time to stand united for our future. With the constant attacks companies are making on our rights, please review and remember your Weingarten Rights!! "If this discussion could in any way lead to my being disciplined or terminated, or affect my personal working conditions, I respectfully request that my Union Representative, Officer, or Steward be present at the meeting. Without representation, I choose not to answer any questions"
As we mark the 17th anniversary of the 9/11 attacks, please take a moment of silence and reflection to remember those who died on that day and to keep their families and loved ones in your thoughts. Sadly, we also mourn the loss of our CWA members who have died since that day as a result of 911-related illnesses. With respect and sorrow, we post this list of our CWA brothers and sisters who lost their lives on September 11, 2001. Two years ago, 36,000 Verizon workers walked off the job to demand a fair contract after more than ten months of negotiations. CWA and IBEW members stood strong together for 49 days - and won an excellent new contract. Today, we're thrilled to announce that we've come to a tentative agreement with Verizon on a four-year contract extension that will greatly build on our 2016 gains, including a wage increase of 11.2% over the life of the extension (the original contract was set to expire in August 2019; the extension will set a new expiration date of August 5, 2023). "This agreement ensures a better future and good, family-supporting jobs for thousands of Verizon workers," said District 1 Vice President Dennis Trainor. "Since the end of the 2016 strike, we have seen a marked improvement in the relationship between CWA and Verizon, and this agreement reflects the more constructive relationship that has developed since then." Included in the extension are separate agreements covering about 90 Verizon Wireless technicians, and 47 Verizon Wireless retail workers - including our 7 newest CWA members from Hazleton, PA who voted just last week to join the union. You can take a look at the summary of the Verizon wireline TA here. The next step will be ratification, which will be taking place over the next few weeks through your local. Results will be announced on August 10. End of Session Legislative Report: Verizon, Cable Companies and Business Council Say "Jump," Senate Republicans Say "How High?" These things are why our PAF money is so important. We need to take control of the senate so we can bring our issues to the floor for a vote. We had bipartisan support for this bill. 42 co-sponsors out of 63 senators. Enough to pass the bill! With the close of the 2018 legislative session in NYS occurring in the early morning hours of Thursday, the Republican-controlled State Senate once again blocked all of CWA's priority legislation, as well as many other bills important to NYS's working people. The biggest outrage was what happened to our "Save Call Center Jobs Act." A bill that simply said, if you off shore good NY call center jobs, you shouldn't get taxpayer money to do it. Its goal is to protect good NY jobs. Who doesn't support protecting jobs?! Republican Senators apparently. The NYS Senate is composed of 63 Senators. 42 Senators--including 10 Republicans and Simcha Felder, a Brooklyn Democrat who caucuses with the Republicans-- signed on as co-sponsors, so our bill had more than enough bipartisan support to pass (32D-10R.). Clearly, though, in the Republican-controlled State Senate, the MAJORITY does not rule. BIG MONEY does. Earlier in the session the bill passed the NYS Assembly by a vote of 111-21, meaning it would have gone right to the Governor's desk and become law. However one man said "NO." Majority Leader John Flanagan (R- Suffolk) would not bring the bill to the floor for a vote. When the chips are down, the Republican majority ALWAYS chooses corporate New York over hard working New Yorkers. They chose their leader, they are all responsible. The only solution is to change control of the NYS Senate. We need a Democratic NYS Senate to choose the majority leader. After all, EVERY SINGLE Democratic Senator was a co-sponsor of our bill. Every.Single.One. We all want to thank everyone who worked so hard throughout this campaign. We made 315 CWA member calls to Sen. John Flanagan's office in the last week alone. We organized our members, lobbied, rallied, received lots of press including interviews with Hae-Lin Choi on TV and Bob Master on the radio. We applied constant pressure like never before. We did our job, the failure is the Republican controlled Senate. Meanwhile, two other bills important to CWA also failed to move. Our Safe Staffing legislation, which passed in the Assembly in 2016, also remains bottled up in the State Senate. A change in Senate leadership later this year is the key to opening up a new path for this bill. And legislation we worked on with Local 1182 to give Traffic Enforcement Agents "Peace Officer" status, stalled in both houses. The lesson is clear. Our mission is obvious. We must flip the NYS Senate. Are you ready? We Will Remember in November! With Senators home for recess, CWAers have been working hard to oppose the Senate Republicans' health care bill. According to the nonpartisan Congressional Budget Office, the GOP's health care bill would raise premiums and out-of-pocket costs for working families and 15 million Americans would lose their health care over the next year – including 4 million who are on their employer's plan. About 22 million people would lose coverage by 2026. It allows insurance companies to charge older Americans five times the rate of other insured persons in what many are calling an "age tax." Like the House bill, the Senate plan is a massive tax giveaway to the wealthy and corporations – households with incomes above $1 million a year would get annual tax cuts averaging more than $50,000 apiece, paid for by cutting health care for lower income families. Forty percent of the tax cuts go to the top 1 percent of earners. Billionaire Warren Buffett has said his tax bill would be about $680,000 lower if the bill becomes law. Health care providers and experts have criticized this bill, from the American Medical Association, which says the bill violates doctors' principle of "first, do no harm," to health care associations that are warning of the devastation to services to all people living in rural areas. The fight is only beginning. Please call 1-855-980-2280 or click here to tell your Senator to oppose this devastating attack on health care. It's not a healthcare bill; it's a $700 billion tax giveaway to the wealthy.